Sat., March 31, 2018, 11:44 a.m.
WASHINGTON – Eye drop users everywhere have had it happen. Tilt your head back, drip a drop in your eye and part of that drop always seems to dribble down your cheek. But what most people see as an annoyance, some prescription drop users say is grounds for a lawsuit. Drug companies’ bottles dispense drops that are too large, leaving wasted medication running down their faces, they say. Don’t roll your eyes. 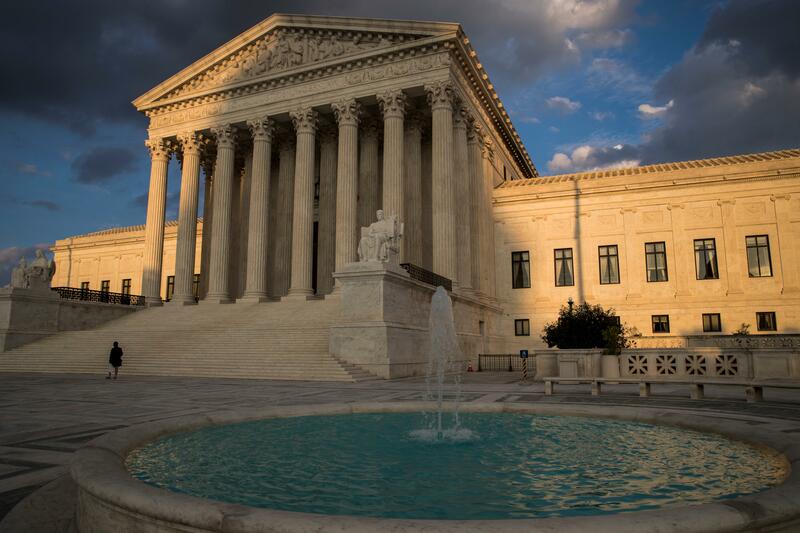 Major players in Americans’ medicine cabinets – including Allergan, Bausch & Lomb, Merck and Pfizer – are asking the Supreme Court to get involved in the case. On the other side are patients using the companies’ drops to treat glaucoma and other eye conditions. Wasted medication affects their wallets, they say. They argue they would pay less for their treatment if their bottles of medication were designed to drip smaller drops. That would mean they could squeeze more doses out of every bottle. And they say companies could redesign the droppers on their bottles but have chosen not to. The companies, for their part, have said the patients shouldn’t be able to sue in federal court because their argument they would have paid less for treatment is based on a bottle that doesn’t exist and speculation about how it would affect their costs if it did. They point out that the size of their drops was approved by the Food and Drug Administration and redesigned bottles would require FDA approval. The cost of changes could be passed on to patients, possibly resulting in treatment that costs more, they say. Courts haven’t seen eye to eye on whether patients should be able to sue. That’s why the drugmakers are asking the Supreme Court to step in. A federal appeals court in Chicago threw out one lawsuit over drop size. But a federal appeals court in Philadelphia let the similar case now before the Supreme Court go forward. That kind of disagreement tends to get the Supreme Court’s attention. Patients see the case differently. A person’s eye can only hold a certain amount of liquid, they say. And they point to research showing that drugmakers’ drops come out of their bottles at a much larger size and that at least half of every drop of medication goes to waste. Patients say they’re entitled to the full use of the entire amount of liquid they purchase. And they’ve calculated that their out-of-pocket payments on wasted medication range at least from a few dollars to a few hundred dollars. A glaucoma patient paying for eye drops without insurance could spend $1,100 a year on medication that goes to waste, according to one study. If the Supreme Court agrees to hear the case, 17-1337 Alcon Laboratories v. Leonard Cottrell, it would be argued sometime after the court returns from its summer break. The high court could also turn away the case. The court takes fewer than 100 cases a year of the thousands it’s asked to take. It’s already up to its eyeballs in requests. Published: March 31, 2018, 11:44 a.m.